Staircases, stairway balusters, stairway newel posts, dining table legs, end table legs, sofa table legs, bar stool legs, chair legs, chair arm posts, chair stretchers, sofa and bun feet, bed rails, lamp posts, baseball bats and so on. Wood lathe cnc is a device that can create items such as stairway posts, designs on wood etc. A wood CNC lathe is operated by a computer which is controlled by the user. The use of computers on a lathe machine offers a wide range of benefits and features, while improving functionality. 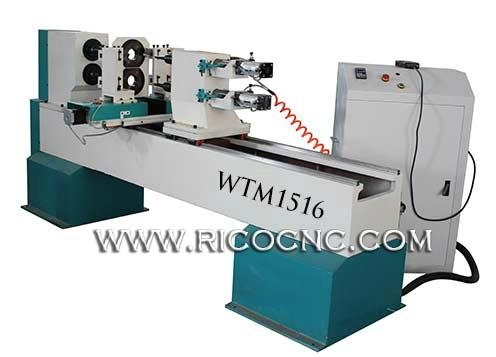 Lathe machine is designed for cylindrical or conoid workpieces, for example pillar, banister, chair legs, etc. All lathes work the same way.